One thing I have learned as I have gotten older is that things hurt now that never did when I was younger. I have no idea how many times in my life I have put on my golf shoes, grabbed my clubs, and gone to the first tee, taken a couple of practice swings and then teed off. Now it is necessary to warm up prior to a round by stretching, loosening up, and hitting a few practice balls before going to the first tee. When I was younger I never gave my back a second thought and now I have to cater to it. Playing in cold weather can make things worse. I have learned that there are some things I can do to prevent have to pay a price the next morning for enjoying a round of golf. 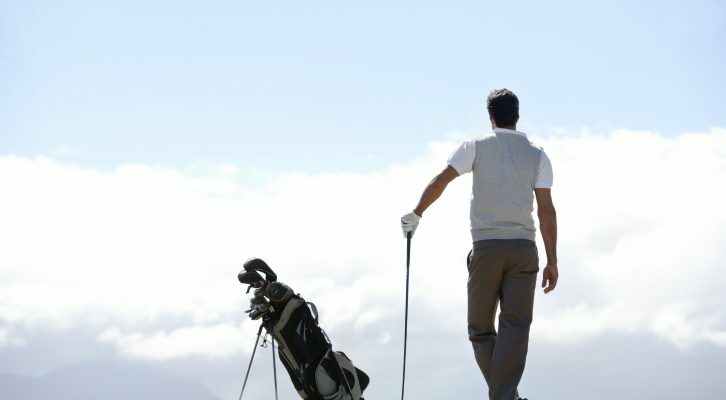 An estimated 75 to 85 percent of all Americans will experience some form of back pain during their lifetime, and the numbers may be higher among golfers. Tendinitis in the Elbows – Tendinitis (irritation and inflammation of the tendon tissue) is the most common condition affecting the elbow. It is frequently referred to as “tennis elbow” when there is an injury to the outer tendon, and “golfer’s elbow” when there is an injury to the inner tendon. Knee pain can occur from the strain placed on a weak knee to stabilize the rotation of the hip axis at the beginning of the swing. Pain may be felt in the shoulder or upper arm at various phases of the golf swing, or following play, often during the night and when extending arms overhead. The repetitive motions of golf, and the high speed of the typical swing can place wrists at a high risk for injury. Much as with wrist injuries, the repetitive motions of golf, and the high speed of the typical swing can place the hands and fingers at high risk for injury. Neck injuries are common in new golfers who are not used to twisting their bodies so much. Throughout the golf swing, the body acts as a whip; power production starts with the feet pushing against the ground. The hip joint is usually very mobile and able to withstand large amounts of loading stresses, but is particularly vulnerable to injury during golf, since the swing involves a tremendous amount of pivoting and twisting movements. Skin is the largest organ of the body, and the most vulnerable to damage while playing golf. Here is an article that I found on the Mayo Clinic website that has helped me tremendously and I thought I would pass it on. Golf injuries are common but avoidable. Learn how to protect yourself. Stand with your feet shoulder-width apart and rotated slightly outward, and with your knees slightly bent. Hold your spine relatively straight; your trunk should be tilted forward, but most of that movement should come from your hips. Avoid hunching over the ball, which may contribute to neck and back strain. The power of a golf swing comes from force transferred smoothly through all the muscle groups, from your ankles to your wrists. If you depend on one part of your body for your hitting power, you may be more prone to injuries. For example, overemphasizing your wrists during your swing can lead to golfer’s elbow — a strain of the muscles on the inside of the forearm. If you swing the club too hard or too fast, you may stress your joints. Relax and take a nice, easy swing at the ball. The best golfers have consistent — not necessarily fast — swing tempos. Before you practice your swing or play a round of golf, warm up for at least 10 minutes with a brisk walk or a set of jumping jacks. Stretch your hands, wrists, forearms, elbows, shoulders, spine and pelvis. Swing your golf club a few times, gradually increasing your range of motion. You might start out by practicing your swing for hours, believing it’s helping your game. But if your body isn’t conditioned for the strain, repetitively practicing your golf swing may do more harm than good. Work up to your desired level of activity instead. You don’t need bulging muscles to hit a long drive — but the stronger your muscles, the greater your club speed. Stronger muscles are also less prone to injury. For best results, do strength training exercises year-round. Regular stretching can improve your range of motion and lead to a more fluid golf swing. Regular aerobic activity can give you staying power on the course. Try walking, jogging, bicycling or swimming. Golfers who carry their own bags have higher rates of shoulder and back injuries than do other golfers. If you jerk heavy clubs out of the trunk of your car, you could injure yourself before you reach the first tee. Use proper lifting technique: Keep your back straight and use the strength of your legs to lift. Elbow and wrist injuries are often the result of hitting the ground or the rough. Dress for comfort and protection from the elements. Wear golf shoes with short cleats. Long cleats dig into the sod and hold your feet planted as you swing, which may strain your knees or ankles. Good article to know about common golf injuries and their prevention. 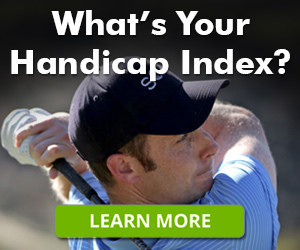 I have a professional golfer and most of the time I have suffered from back and neck strain. After read this article I understand about back strain and the root cause of this injury. I have understand about the role of the proper posture and for this I am thinking to own a golf alignment stick. I hope this information will be beneficial for my golf career.